"A long-wear lipstick that provides pure colour, and a shiny finish that lasts overtime. Superior comfort both in application and on lips. Plumping actives improve hydration and smooth your lips. For classic definition: the texture of this highly pigmented, covering lipstick gives great definition to your lips, both as a fully covering shade, but also as a mere stain. A “Human Colour” and therefore suitable for each skin tone, age or style. No scent. No taste. No parabens. No animal testing." Love the texture of Creamy Lips! As the name implies it's extremely creamy and applies to the lips smoothly and effortlessly. It lasts great as a stain or lipstick, and I really find the sponge applicator easy to use for precise application. 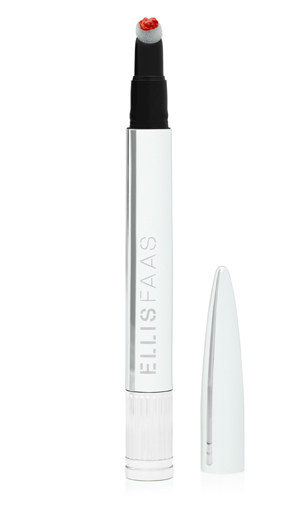 "Hot Lips is Ellis' latest revolutionary texture for the lips. Because it's absolutely packed with pigment, you'll only need a tiny bit of the non-greasy Hot Lips to add vibrant colour. Hot Lips are extremely longwearing, without the risk of drying out your lips. A little goes a very long way! Hot Lips has a great texture, still very creamy though not quite as creamy as Creamy Lips though even longer wearing! I swatched this on my hand and the swatch lasted on my skin 24 hours, and yes it lasts just about as well on the lips! This has the same sponge tip applicator as Creamy Lips. The color is gorgeous! I am a big fan of reds and this one is a gorgeous flame red. "A long-wear, fluid lipstick that provides highly-pigmented colour, and a glossy finish that lasts overtime. Superior comfort both in application and on the lips. Plumping actives improve hydration and smooth your lips. Especially loved by women who do not like to feel lipstick on their lips. Milky Lips is a lot lighter than Creamy or Hot lips, while neither of those feel heavy on the lips, Milky lips just feels even lighter! The consistency is thinner, but still has full pigment just as Creamy and Hot Lips have full pigment with only one swatch. As you will see in the below photo, Milky Lips has a gorgeous gloss finish to it without being sticky, it feels like lip balm on the lips! 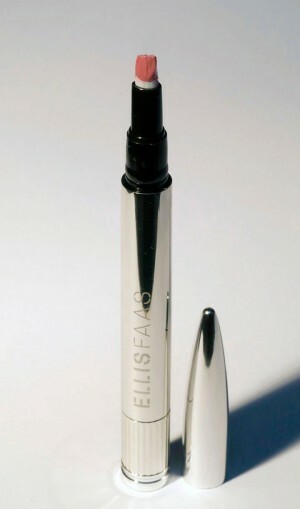 The applicator on Milky Lips is a brush applicator which is very easy to use, and soft on the lips. 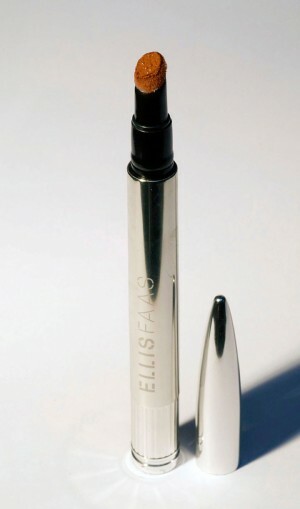 Overall, I would highly recommend giving Ellis Faas Lip Products a try! I loved all of these texture and pigment wise.